Imagine an insect as small as a grain of rice killing a tree that towers 70 feet above the forest floor. Seems impossible, doesn't it? Not when one mountain pine beetle joins forces with thousands of others to form an army of forest killers. 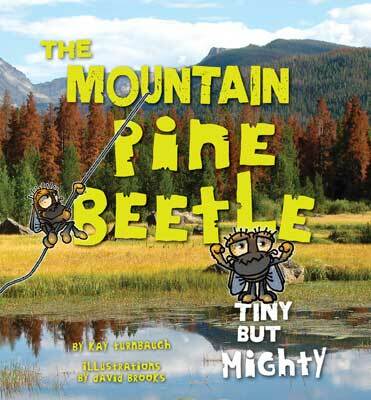 In "The Mountain Pine Beetle: Tiny but Mighty," Kay Turnbaugh tells the story of how such a tiny insect has managed to change the landscape of our western forests. With lively text, vivid (and sometimes icky) photographs, plus engaging illustrations, "The Mountain Pine Beetle" tells us how these little buggers operate and how the forests manage to survive. Perfect for schools and libraries and anyone who wants to make sense of the world around them.